I got my start in construction in 1987 at Krown Kitchens in Leola, PA working as a cabinet installer. In 1990, I moved to Paradise Custom Kitchens, Inc., again working as a cabinet installer and remodeler. 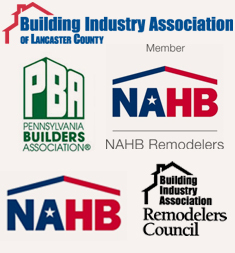 In those combined 14 years, either on the job or by my own endeavors, I gained vast experience with building, general contracting, cabinet making, trim, and kitchen and bath remodeling. 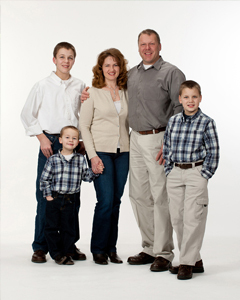 From 2001 until 2005, my family served a missionary term in south Alabama. It was always my dream to have my own business, and when our term came to a close, my dream became our reality. 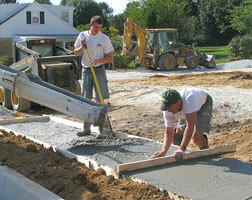 In the spring of 2005, we opened Wenger's Construction, Inc. for business. In the years since then, we've been blessed with a wide variety of work and a lot of wonderful customers. The foundational principal that describes our work ethic is "built on excellence" and excellence is what we strive for, whether it's a large project or small. As you browse this site, you will see that the work we do varies tremendously. While we’ve built new homes, our passion lies with creatively helping our customers transform and maximize the space and qualities of the home they currently own. Whether it's putting an addition on, finishing an attic or basement for added living space, or remodeling current living space to better suit your needs, there are many cost effective ways to make over your home. We pride ourselves in having the skill and experience to handle your large project, yet small enough to maintain the personal touch of me being on the jobsite working, monitoring quality and maintaining customer satisfaction with attentiveness to detail. The tradesmen who work for us are carefully selected, not only for their high quality skills, but also for their honesty and integrity in how they do business.